As a part of my comparative review series of all textbooks for undergraduate medical subjects, I am adding this article about Textbooks of Preventive and Social Medicine (Community Medicine) and Biostatistics which are best content wise, most read by students, recommended by seniors and professors and are available in market. This is the best book for Preventive and Social Medicine (Community Medicine) for Indian medical students. There were no books which come even closer to this book (until I found and went through the following one). It is an excellently detailed and organised book which covers all aspects of PSM which are needed by students. The best part about this book is that it is updated almost every year i.e. a new edition every year, which makes it most up to date book in the market. Being up to date makes this book an important source of information for students to get latest Indian healthcare statistics which students do not take efforts to search on the internet because no single site gives all stats. It gives a concise version of biostatistics as well, just enough for UG medical students. A must read book for all students. Last month, I got a mail from Paras Medical Publisher representative and they wanted to give me a review copy of this book. I received the copy few days back and went through it. I have not read this book word by word but from what I have read and gone through I can say that this is an excellent book. 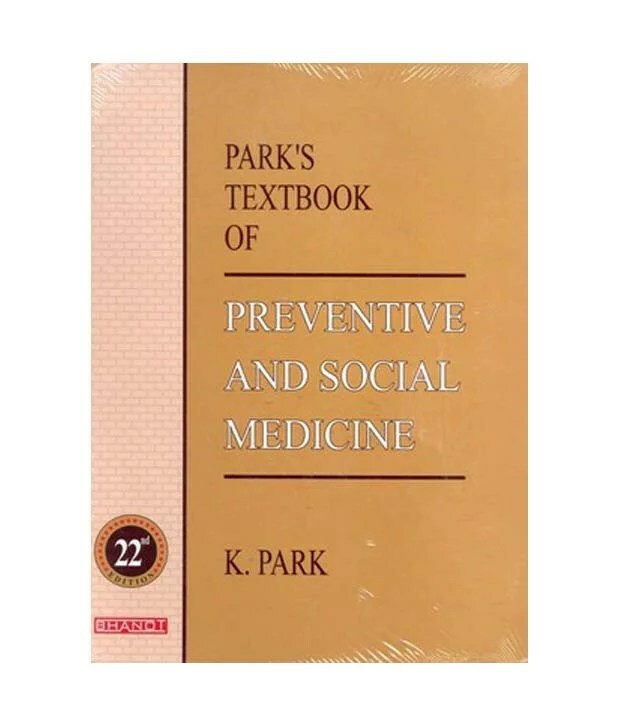 A worthy competitor to Textbook of PSM by Park. And even better than Park in many sections. This book starts with history and gives topics like Historical epidemics, health and disease, social medicine, social classification including Kuppuswamy classification, health education, communication, demographics, health statistics (both Indian and global), epidemiology, study designs, epidemics, medical entomology and national health prog in very good manner and details. Some new topics which hardly any book mentions or includes like construction of research protocol, publishing scientific paper and making scientific presentation are given in this book. These things are not of much use to UG students but are helpful for those who prepare for exams like USMLE and require research studies to be included in their CV (resume). Topic of biostatistics is given in very nice manner which is easy to understand and also covers all the points required for UG exams and to clear basis concepts of biostatistics. At the end of the book, WHO fact sheet is included which is also useful to know about how WHO describes various diseases. In an all an excellent book, worth the money and a strong competitor to Park. This book is more than 1200 pages, unlike Park which is less than 1000 pages. So this book should be considered by students who want to learn PSM subject in much more detail and want to move away from the conventional book, Park. Only one recommendation I would give to the authors is that this book should be updated more frequently may be 2 yearly if not yearly to compete with Park Textbook of PSM. I am also including other books for PSM which are available in the market, but I have never looked at these books because Park is enough for UG exam needs. Students can use these book for reference purpose if they feel need of doing it. Also, most of this book are very old versions and will not have latest statistics of Indian healthcare and advances. Chapter of Biostatistics given in Park in enough for UG medical exams but still students can refer to these book of Biostatistics for reference and understanding purpose.